We live in the new geological epoch, Anthropocene, dominated by profound human modifications on the Earth, leading to increasingly uncertain environmental future. In one thing, however, this future is very certain – in complete or nearly complete destruction of the natural habitats and dramatic loss of biodiversity. In the mid 20th century no one could have imagined the extent of nature destruction that happened in the following half century. The human-caused changes in the ecosystems at times exceeded their ability to maintain once existed structure and function. The inhabiting these ecosystems creatures struggle hard to survive in the new environments where their habitats are destroyed and food webs collapsed. Witnessing rapid loss of biodiversity, there is a non-rhetoric question – to accept the changes passively or try to revert the altered habitats to historical or at least similar to historical conditions? Among those who call themselves “conservation biologists” there is a movement that denies that biotic diversity has an intrinsic value independent of providing humans with goods and services. These “new conservation biologists” (Kareiva & Marvier 2007, Kareiva & Marvier 2012; Daily et al. 2009; Marvier & Kareiva 2014) stand on a moral position that non-humans can be morally relevant only to the extent that they affect human well-being, and the latter must be given a priority in any conservation efforts. They enthusiastically welcome “novel ecosystems” (Hobbs et al. 2013) that may contain new combinations of species as a result of deliberate or inadvertent introduction, anthropogenic disturbance, changes in land use, pollution or rapid climate change. While for traditional conservation biologists displacement of historic ecosystems by those having no analogs in the past is an ecological disaster, for the “new conservationists” this is an opportunity to build “a new, more positive and forward-looking environmentalism” (Marris et al. 2011) that will secure ecosystem goods and services rather than species from extinction. What “nature conservation” means has not been recognized by public yet. The latter movement tries to shift the emphasis from preserving biodiversity per se to creation and management “of those natural systems that benefit the widest number of people, especially the poor” (Kareiva & Marvier 2007; Kareiva et al. 2011). A great danger of this Trojan horse to the essence of what “nature conservation” means has not been recognized by public yet. 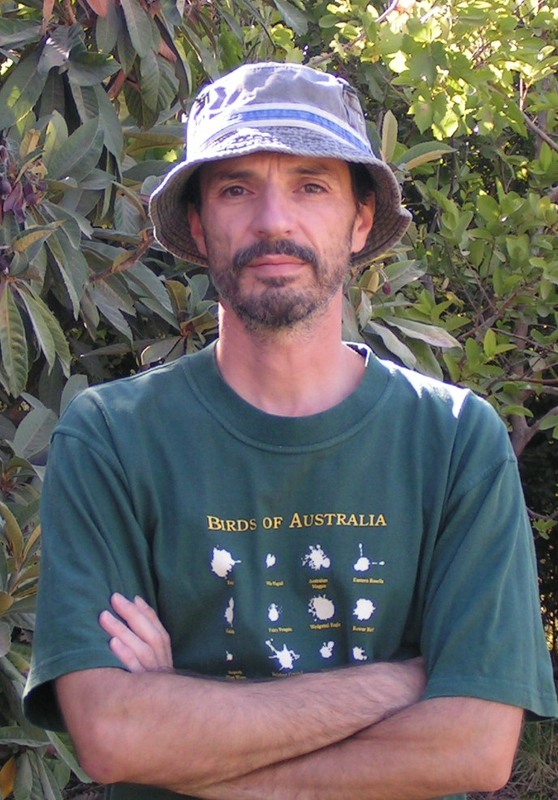 Just the opposite – this concept welcoming free migration of any species across the globe and utilization of the last remaining pristine habitats until their complete disappearance, gets considerable support of public and the literature popularizing these views proliferates (e.g., Marris 2011; Theodoropoulos 2013; Kirksey 2015; Pearce 2015). However, it must be clear to everyone who cares about biodiversity that this movement has no sentiments for preserving species that do not fulfill an important functional role in novel “natural systems that benefit the widest number of people, especially the poor”. As an alternative to this dangerous perception of ecological novelty, I propose a concept that accepts some degree of ecological novelty, but for sake of saving (not sacrificing!) biodiversity. 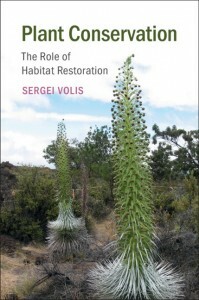 The concept presented in the book “Plant Conservation: The role of habitat restoration” adopts the idea of creating partly novel (i.e. having species compositions that differ from historical analogs) ecosystems, but it is not a Trojan horse for traditional conservation. On the contrary, it can be adopted as an opportunity for the conceptually new conservation of threatened species and their habitats, which always was the focus of traditional conservation. Daily GC, Polasky S, Goldstein J, et al. (2009) Ecosystem services in decision making: time to deliver. Frontiers in Ecology and the Environment 7, 21-28. Hobbs RJ, Higgs ES, Hall CM (2013) Novel ecosystems: intervening in the new ecological world order. Wiley-Blackwell, Oxford, UK. Kareiva P, Lalasz R, Marvier M (2011) Conservation in the Anthropocene:. Breakthrough Journal 2, 26-36. Kareiva P, Marvier M (2007) Conservation for the people. Scientific American 297, 50-57. Marris E (2011) Rambunctious garden: saving nature in a postwild world Bloomsbury, New York. Marvier M, Kareiva P (2014) The evidence and values underlying ‘new conservation’. Trends in Ecology & Evolution 29, 131-132. Marvier M, Wong H (2012) Resurrecting the conservation movement. Journal of Environmental Studies and Sciences 2, 291-295. Pearce F (2015) The new wild – why invasive species will be nature’s salvation Beacon Press, Boston, US.